I have heard from parents that a few of the children I know are having sewing machines for Christmas and I have been asked which ones I would recommend. Below are a few that I know of although not all are tried and tested. Children are quite capable of learning to sew on an adult machine, I recommend supervision for younger ones and instruction in correct, safe use for all children. 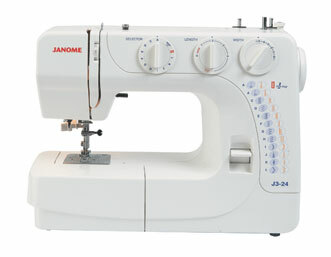 • The sewing machines we used to use in Children’s Sewing Club are Janome J3-24. I chose them as being the first in the range with a variable stitch width, rather than just a choice of 3 widths, also this model had a hard case which I needed for carting them around. There are 24 stitches for stretch materials, appliqué, heavy material, pretty stitches. It comes with several presser feet, with more you can purchase and it has an automatic needle threader. 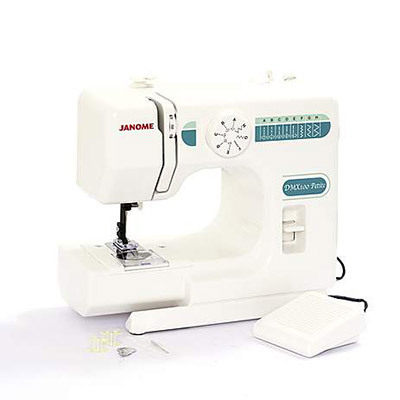 They are sturdy machines capable of plenty of sewing time and many options to grow in to. It sells for around £189. There is a sewing machine shop in Bristol that are helpful. http://www.direct-sewingmachines.co.uk/ In Cheltenham there is www.westendsewing.co.uk where I buy machines. • Another Janome is the J3-18, which is similar, less stitches, no variable width for stitches, a 4-step button hole instead of a 1-step button hole and a soft cover. It is available currently for £139 at the above shops, until 24th Dec.
For something cheaper there is a selection of small beginner sewing machines on the market. 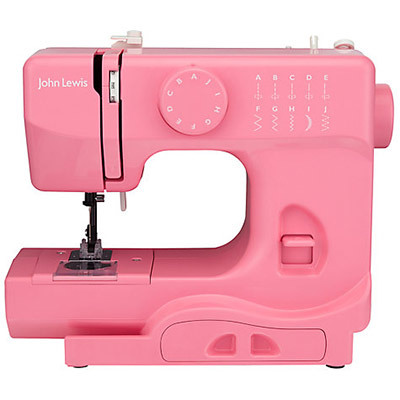 • John Lewis sell colourful little machines for £59 ideal for beginners but they don’t have a light and you can’t change the feet, it has a small selection of stitches and is suitable for small craft items, simple clothes making (no zip foot or button hole foot) and repairs. I have one of these and it works just fine. They come in several colours, here is the link John Lewis Mini Sewing Machine. These are the machines I currently use for the children, just so much easier for me to carry around! • Hobbycraft have a selection of reasonably priced sewing machines. I like the Janome sewing machines although I haven’t used this one it has good reviews and has a free bag if you buy online. 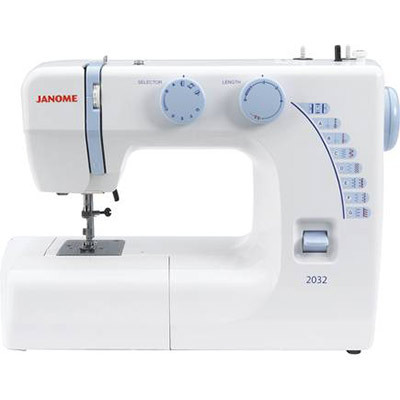 It is a Janome 2032 and is £99 if you look here it has the reviews and specs. Let me know if you have any questions about these sewing machines, I will be happy to help. If you have bought or are buying one of these machines or indeed a different one, for your child. It would be great if you could leave a comment to let others know what you think of it. A small word of warning, I do not recommend you buy those really small sewing machines that you could lift with 1 finger. I believe your child will be frustrated with it and it will be resigned to the bottom of the cupboard if it doesn’t give up before then. It would be a shame to thwart their interest in sewing with such a machine. Spend just a little bit more for something you and your child can use and enjoy for years to come. I teach a sewing group and there are 4 young girls. I am looking for a sewing machine that does not have a fast speed. They press the pedal down hard. The ikea machine is it slower than the normal sewing machines?Hope to hear from you soon. All sewing machine are perfect for children. Especially i love this red john lewis machine. And i already purchased for my nephew. It works very easily. I am looking for a sewing machine for my 7 year old granddaughter I want it to be safe but also like her mummy’s and she can do proper sewing help. Would really like Janome kitty 11706. It’s really light weight… best for kids. It also has 11 stitches options which is preferable for kids and also has option of 4 steps buttonhole.The accessory storage compartment and free arm are additional useful features, very convenient for children. I love the John Lewis Mini Sewing Machine. Nice color like the Janome Fast Lane Fuchsia. Janome has some strong sewing machine and much cheaper than the JL sewing machine. Did you consider or looked at the Janome Fast Lane Fuchsia? Great color and good portable for kids. I’ve been looking for John Lewis mini sewing machine for my daughter who’s turning 10 but not having any luck with it… have they stopped selling them?